The Lorton meteorite is estimated to be 4.5 billion years old, but let's hope it doesn't take that long to determine the rightful owner of the outerspace rock that created a sensation last week when it crashed through the roof of a doctors office building in Lorton. Smithsonian officials who are examining the rock but aren't involved in the dispute, told News4 last week that there's a general legal rule about meteorites -- they belong to the owner of the property where they land. Dr. Marc Gallani, who was sitting in his office when the meteorite struck, claims the meteorite belongs to him and his partner, Dr. Frank Ciampi, because they've leased the house for 31 years for their practice and have paid for all the buildout of the medical laboratories where the meteorite landed. "It fell into our space. We're the tenant, " Dr. Gallani told News4. "We built out that space. We'll leave it to the attorneys." But hold on. Deniz Mutlu, a member of the family that actually owns the Lorton building, politely disagrees with the doctors, saying the Smithsonian sent a letter to him acknowleging receipt of the meteor. Like the doctors, Mutlu said his family also intends to donate or lend the outer space rock to museums or other planetary groups. The rightful owner -- whoever that is -- could be in line for a sizeable tax deduction if they handle the ownership properly. 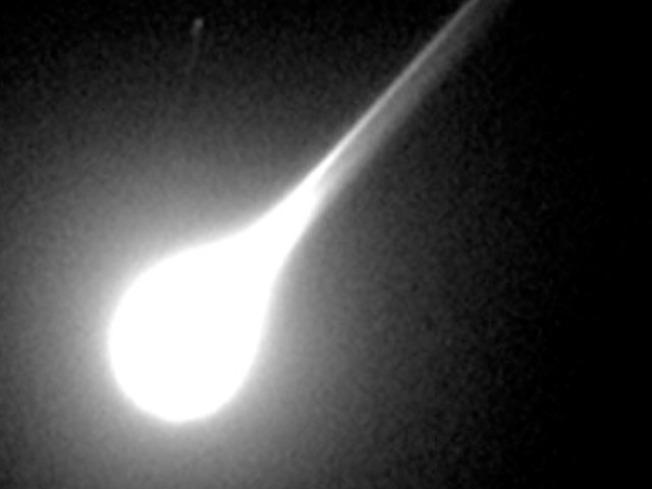 The meteor is estimated to be worth at least a few thousand dollars. Both sides said they hope the meteor dispute doesn't disrupt the 31-year history of the doctors leasing from the Mutlu family. But for now, it appears it has.